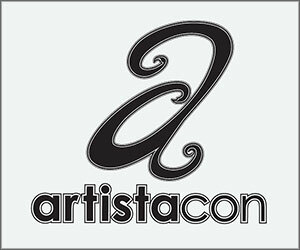 One week to the Supreme Convention in Atlantic City! 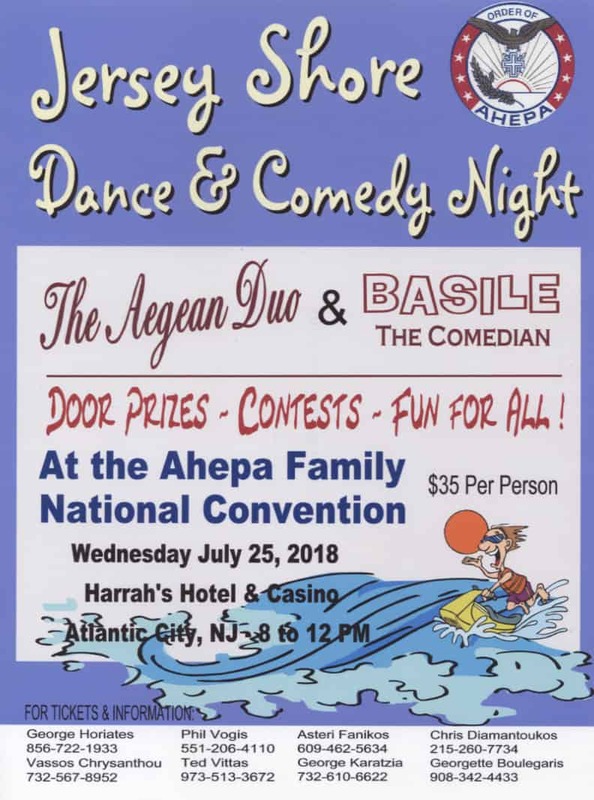 Last week we showed you some of the happenings at AHEPA’s Supreme convention at Harrah’s AC July 22-27. Come down early and often! 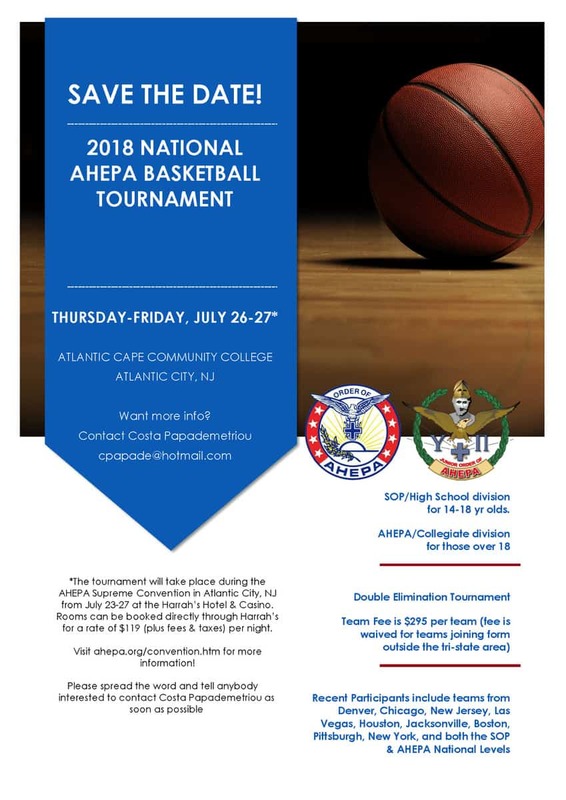 If you are not pre-registered as a delegate or alternate, AHEPA has opened up the following events for the Delaware Valley community. This will be an event to remember for years. 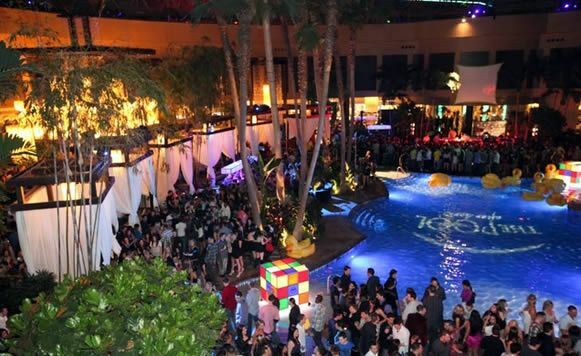 The Pool After Dark is an exclusive Harrah’s club famous for its domed temperature controlled enclosure. With Greek foods, gaming, dancing, bar service, this hot spot will be taken over by Greeks. 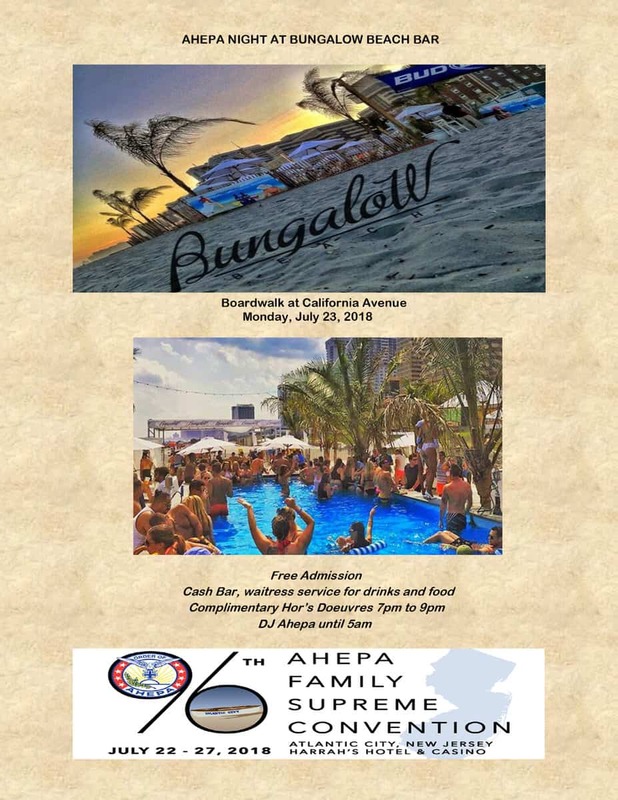 Dress summer casual, or even with a bathing suit underneath, as Greek night, will feature our own Seizmos Music orchestra on the stage as AHEPA takes over the entire venue for an exclusive evening. 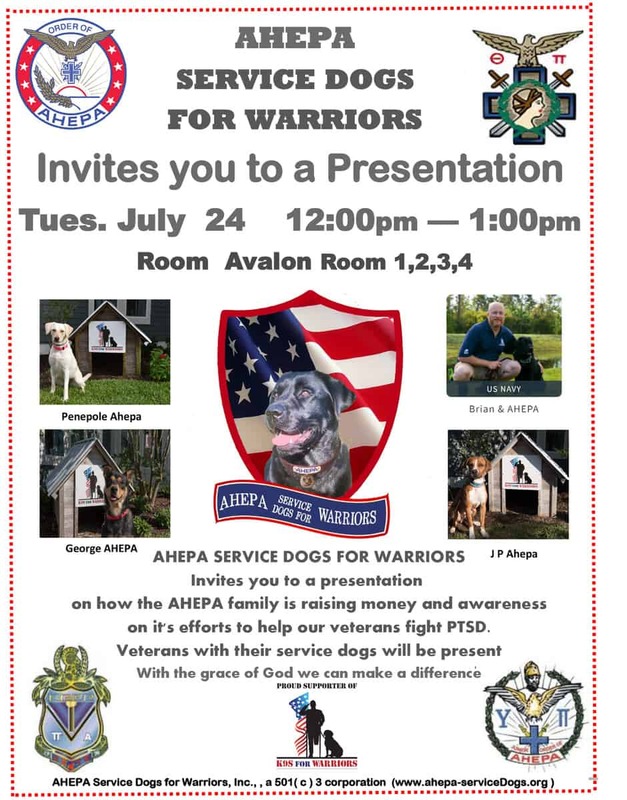 The entry fee is $75, you can purchase at the door…the memories will be priceless. 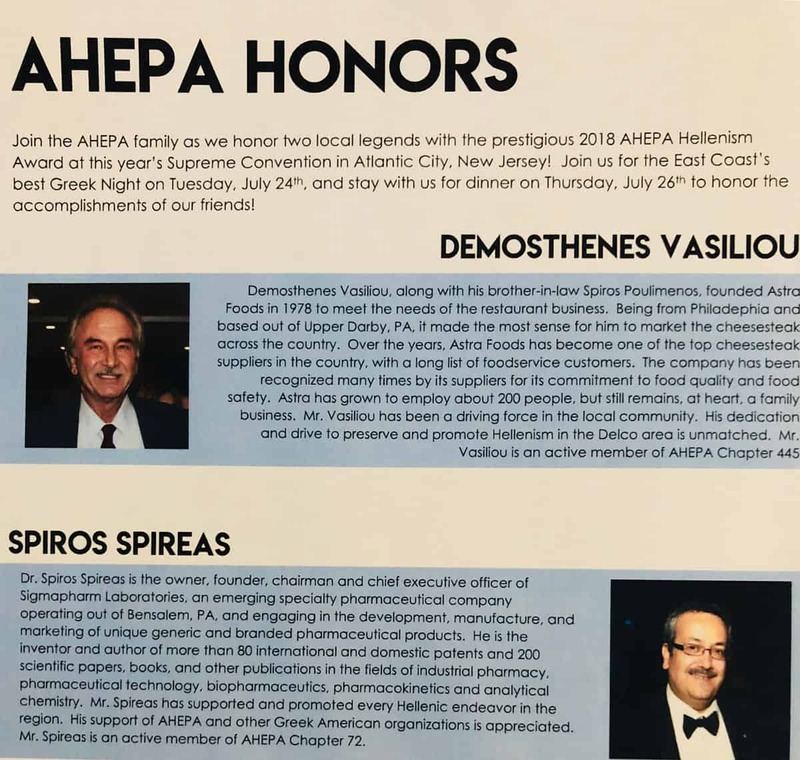 AHEPA honors two of our own, Spiros Spireas and Demosthenes Vasiliou. 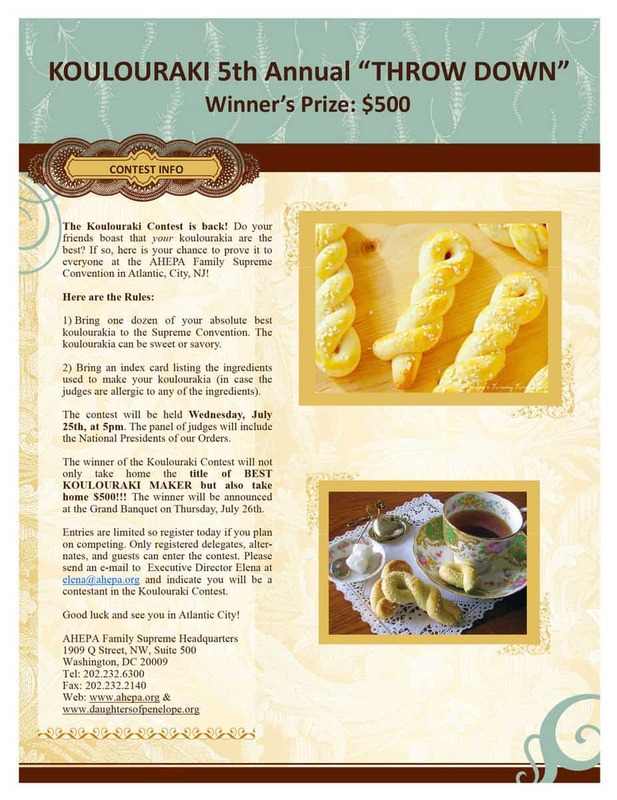 Ahepans and local legends, they will be honored at the banquet for their accomplishments. $125 a ticket, contact Georgia Chletchos at (610) 547-0072. 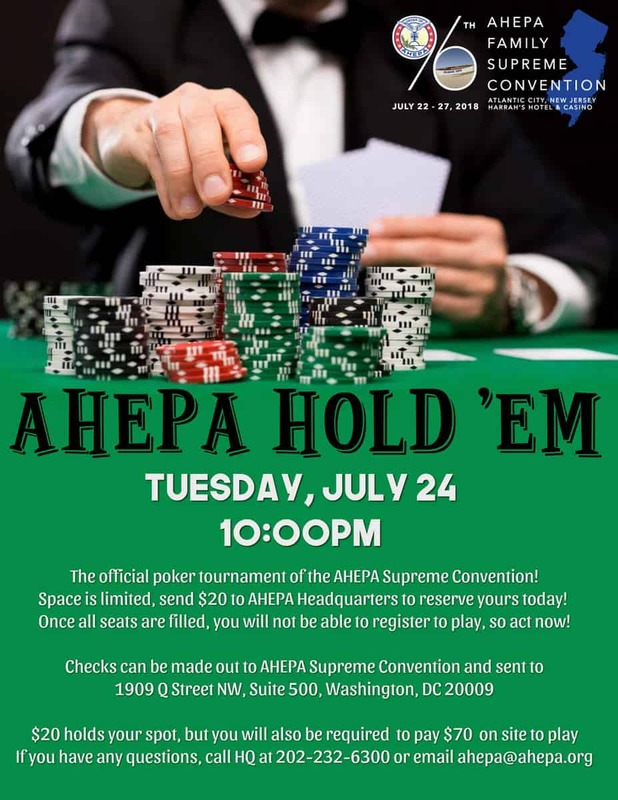 Log onto www.ahepa.org for up to the minute changes. 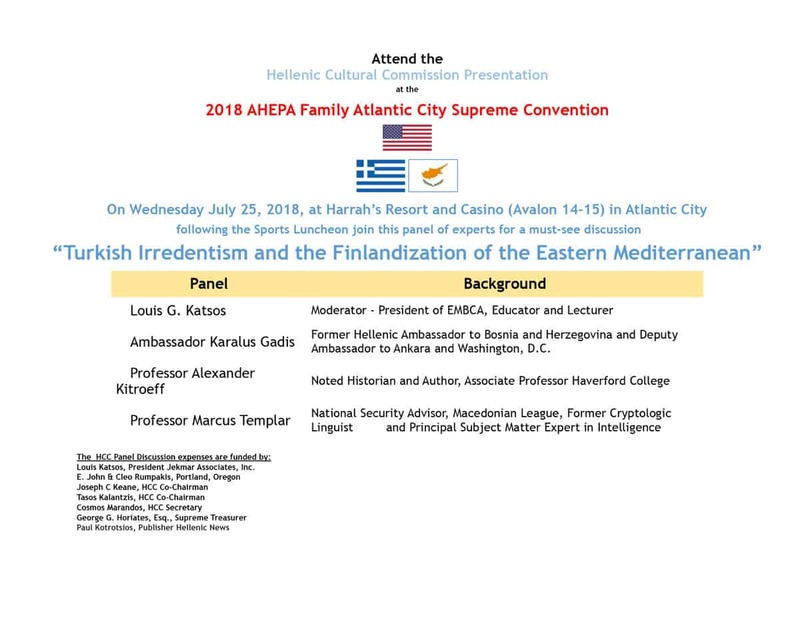 See you at the AHEPA Supreme Convention!